Satellite TV enables you to watch a huge number of both Russian and foreign channels. It is only necessary to properly configure the receiver (the device transmits the satellite signal to the TV) and enter the codes of the channels. Perform the decoding of the TV receiver Globo Orton and brands. To do this, click on a channel 9339, go to the menu Key in the window that POPs up select the encoding BISS, click "OK". Next you will see the following text – inde Tyre Provider Key Data. Click green button to add or red for editing. Edit working key, you will see the following: Freg Tyre Key Data, enter 2600 00198С 12073 then KEY8 1A2B3C004D5E6F00. Click "OK" to save the key and exit the menu. 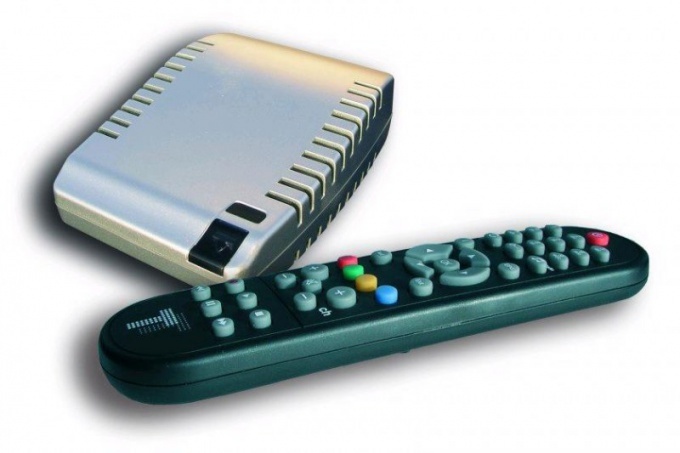 Go to any channel, if you want to decode satellite channel receiver OPENBOX 800. Go to menu, 1117, further window opens with encodings, select, BISS, click "OK". You'll see the Vidio Key. Select the non-working key or a blank cell, click the red button to edit, type twice the key. Click "OK" to save the key, then again "OK" to activate the key. The key string will be highlighted in blue. Click "OK" and exit the menu. Decoding satellite channel completed. Follow these steps if you have a receiver OPENBOX versions X or 1700, F-100. Also, these settings are appropriate for receivers POWERSKY8210, ARION, Lemberg. Turn on built-in emulator, if the full name of your receiver there is a $ sign. To do this go to menu, dial the digits 19370, in the frame 2486. Select "Games", run the emulator. Press "Menu", go to "Games", then select Hex Edit, type in 0000, and set the appropriate encoding. In the list find the identification code of the provider, in the tuner it may look like a V 00010С10. Select the number key, then press the red button to edit. Put the cursor on the key, click "OK". Enter a working key. After you enter all the digits on the remote tuner, press Exit. Click "OK" in the window that appears, then Exit.